The Laundromat (a.k.a. Marky’s) is located at 382B St-George. This is a must stop for any beer geek aficionado enthusiast looking to try something different. 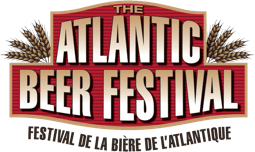 This is the only place on the planet where you can purchase Acadie-Broue beer and also recently had some Shiretown Beer from Northern N.B. on tap. They are up to 5 taps now and normally have a mix from Atlantic Canadian microbreweries. They also feature an extensive line up of bottled beers from around the world that are not available anywhere else locally. The Old Triangle Irish Alehouse is located at 751 Main Street. What’s a list of beer bars without an Irish Pub? The Old Triangle features a good selection of draught beer and some standard offerings of bottled beer. The food is great and there are live acts performing nightly Wednesday to Saturday. Tide & Boar Gastropub is located at 700 Main Street. They offer a good selection of draught beer which includes offerings from Garrison, Picaroons, Guiness, Keith’s, Stella and Hoegarden. They also have an interesting assortment of bottled beer (Mill Street, Unibroue, Chimay Red, Koninshoe La Trappe Trippel among them) and food menu (ever try a Boar poutine?). In celebration of the AT Beer Festival, they will be tapping a cask conditioned Picaroons Yippee IPA, this Friday, May 26th. Last but not least are the two pubs run by the 2005 Canadian Brewery of the Year, Pump House Brewery. The original location is located at 5 Orange Lane in downtown Moncton. They offer their regular lineup and seasonal brews that can each be tried as part of a sampler tray. The food is great, especially the wood fired brick oven pizza. Across town, at the actual brewery location, is the Barnyard BBQ on 131 Mill Road. Head over to the Barnyard is you want to drink your beer out of a Mason jar or want to enjoy a Southern themed menu with items such as Alabama Road Kill Chili, Ragin’ Cajun Gumbo, Dirty Bird, Hillbilly Backyard Steak and Texas Rodeo Buffalo Burger. You can get a glimpse of part of the brewery and tours are available for $2 per person with a minimum of 10 people which includes samples of Pump House beer (tours should be scheduled in advance (506) 389-9042) .